My name is Neil Paprocki. I’m the conservation biologist with HawkWatch International, which is a raptor conservation and education non-profit based in Salt Lake City, Utah. My name’s Evan Buechley. I’m a PhD candidate at the University of Utah. 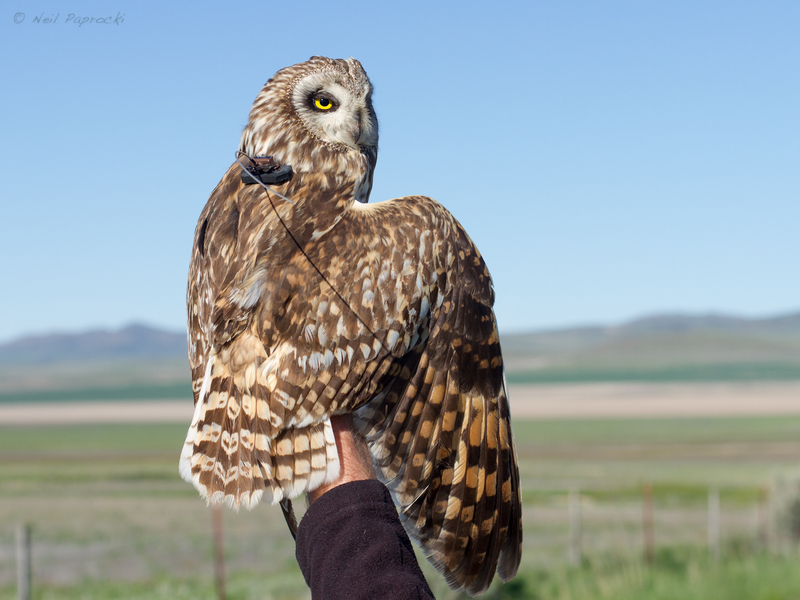 Neil: Evan’s lab at the University of Utah had some transmitters and HawkWatch has been starting a short eared owl project in Utah and so this was a nice fit for us to collaborate with each other. Evan: The short eared owl is a very cosmopolitan species. It’s found really around the world, throughout Europe and Asia also. 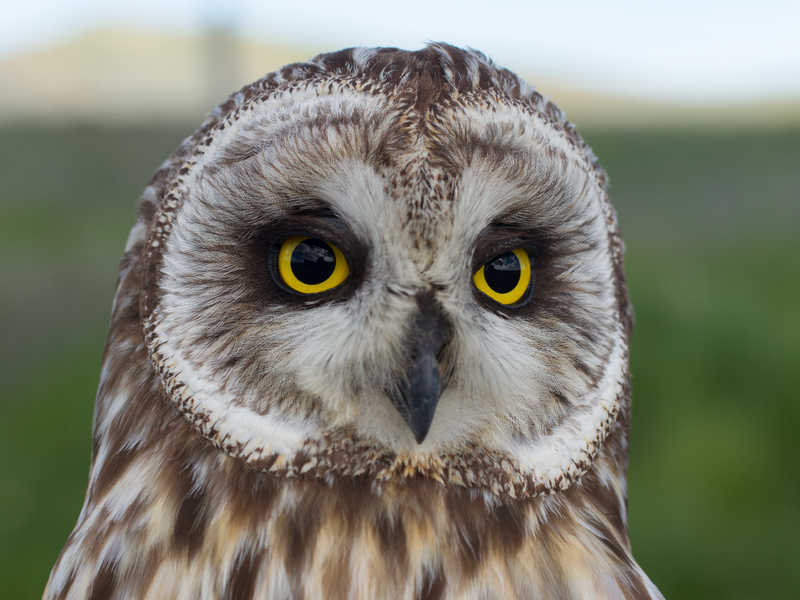 We’re initiating a tracking study of the short eared owls here in northern Utah and the objective is really to learn more about their movements. We can learn where they’re breeding and where they might migrate after they’re done breading. We just don’t know much about the movements of short eared owls and so hopefully we can pull some of that data together and really get a broader continental or even global sense of how short eared owls move. Neil: So what we do is put a mouse in this little cage and the mouse is protected in the cage and we cover the cage with nooses and we put a weight on it and we will toss it out in front of an owl and the owl will try to come down for the mouse and as it’s coming down for the mouse all of these nooses are here and in theory the birds feet will get stuck in the nooses and once the bird realizes it’s stuck usually is tries to fly away and when that happens the nooses tighten (sound of nooses tightening) and they tighten around the birds feet and they can’t get out and then the trap is weighted down so the bird can’t fly away with the trap. Neil: We’ve already caught this owl and we have it in a can so he’s nice and calm and he can’t see anything. And we’re going to get our banding kit over here. Usually the first thing that we do is we put the metal band onto his leg and the metal band has a unique number on it and [from] that number, if anyone else happens to catch this bird, they’ll know exactly where this bird came from, where it was caught, who put the band on it. So that’s the first thing we do is we get the band off of here and then we put it on his leg so it’s nice and snug, not too tight, not too loose, and that’s the bird’s new ID tag. And this whole time I’m holding on to his legs because that’s what we’re worried about because they have pretty good sized talons for a small bird. Neil: So this transmitter weighs eight and a half grams and it does have a little solar panel on the back so it can in theory last for a very long time because the sun can keep it charged and it can keep giving us data. The transmitter is put on with a backpack harness. So we use some Teflon to attach it just like you would wear a backpack. Evan: I say we let him go. 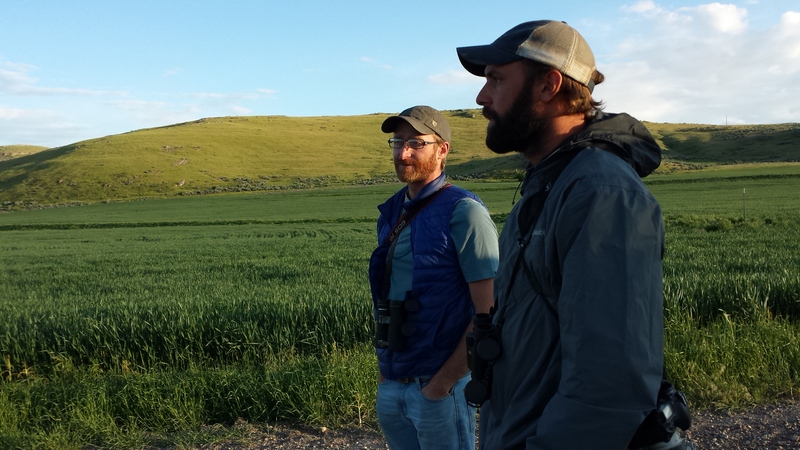 For Wild About Utah this is Neil and Evan signing off from Howell, Utah. 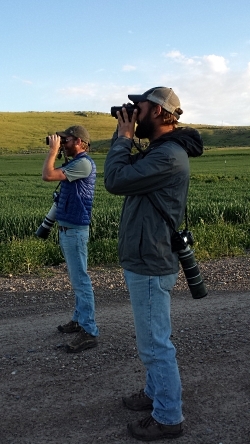 Sound of Evan and Neil getting in their truck and driving away down a gravel road.